Safety of nuclear reactors is defined as the number of accidents likely to happen within a period of time. For example, if a reactor has a safety standard of one accident in a thousand years, that means that if it operates for 1000 years, there will probably be one accident. Of course, that accident could happen at any time. No nuclear reactor in the world is 100% safe. The risk is also additive, in other words if you have more reactors, such as the six South Africa plans to build, then the chance of an accident happening somewhere is 6 times higher. 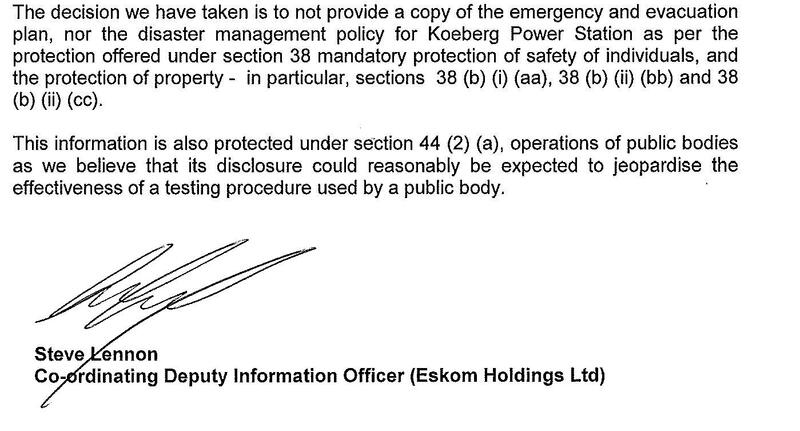 It is disturbing that Eskom refuses to release its emergency response plan for Koeberg. Could this be because realistically there is no feasible plan to get people to safety? An accident is defined as an event which leads to a significant exposure to radiation, or endangers the public. The IAEA keeps of list of these accidents, which is reproduced below. Note that it seems to stop in 1999, and doesn’t yet include Fukushima. A partial meltdown of a reactor’s uranium core at the Chalk River plant near Ottawa, Canada, resulted after the accidental removal of four control rods. Although millions of gallons of radioactive water poured into the reactor, there were no injuries. Fire destroyed the core of a plutonium-producing reactor at Britain’s Windscale nuclear complex – since renamed Sellafield – sending clouds of radioactivity into the atmosphere. An official report said the leaked radiation could have caused dozens of cancer deaths in the vicinity of Liverpool. A serious accident occurred during the winter of 1957-58 near the town of Kyshtym in the Urals. A Russian scientist who first reported the disaster estimated that hundreds died from radiation sickness. Three technicians died at a U.S. plant in Idaho Falls in an accident at an experimental reactor. The core of an experimental reactor near Detroit, Mich., melted partially when a sodium cooling system failed. A coolant malfunction from an experimental underground reactor at Lucens Vad, Switzerland, releases a large amount of radiation into a cave, which was then sealed. At the Lubmin nuclear power complex on the Baltic coast in the former East Germany, a short-circuit caused by an electrician’s mistake started a fire. Some news reports said there was almost a meltdown of the reactor core. Near Harrisburg, Pennsylvania, America’s worst nuclear accident occurred. A partial meltdown of one of the reactors forced the evacuation of the residents after radioactive gas escaped into the atmosphere. Eight workers are contaminated when more than 100,000 gallons of radioactive coolant fluid leaks into the contaminant building of the Tennessee Valley Authority’s Sequoyah 1 plant in Tennessee. The world’s worst nuclear accident occurred after an explosion and fire at the Chernobyl nuclear power plant. It released radiation over much of Europe. Thirty-one people died iin the immediate aftermath of the explosion. 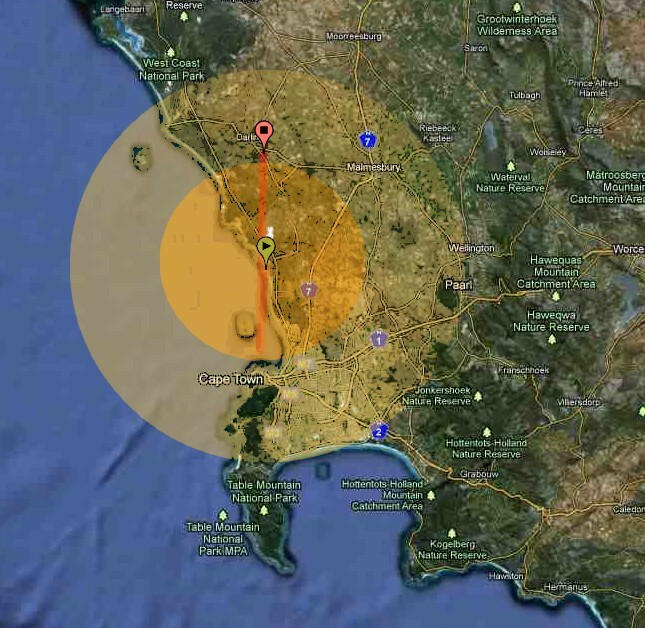 Hundreds of thousands of residents were moved from the area and a similar number are belived to have suffered from the effects of radiation exposure. At the Sosnovy Bor station near St. Petersburg, Russia, radioactive iodine escaped into the atmosphere. A loss of pressure in a reactor channel was the source of the accident. In France’s most serious nuclear accident, three workers were contaminated after entering a nuclear particle accelerator in Forbach without protective clothing. Executives were jailed in 1993 for failing to take proper safety measures. Japan’s Monju prototype fast-breeder nuclear reactor leaked two to three tons of sodium from the reactor’s secondary cooling system. The state-run Power Reactor and Nuclear Fuel Development Corporation reprocessing plant at Tokaimura, Japan, contaminated at least 35 workers with minor radiation after a fire and explosion occurred. Another accident at the uranium processing plant at Tokaimura, Japan, plant exposed fifty-five workers to radiation. More than 300,000 people living near the plant were ordered to stay indoors. Workers had been mixing uranium with nitric acid to make nuclear fuel, but had used too much uranium and set off the accidental uncontrolled reaction.